Types of words are like types of dogs. There are show dogs and show words. Show words are words like philodox, alacrity, virago, docent, and penury— legitimate English words often used to show off while arrogantly knowing listeners are not likely to know their meaning. There are companion dogs and companion words (sweetheart, dearest, honey, or darling)—words of endearment reserved for close friends or relatives. And then there are working dogs and working words—those powerful words that serve many purposes. Grace is such a word. Grace is the word we use for exquisite performances…on the ice, court, diving board or dance floor. Graceful mentoring means creating a relationship like a partnership, a performance of two people enthusiastically learning together. It includes a power-free relationship filled with passion, curiosity and respect. 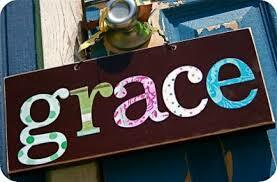 Grace is also a word used in conjunction with manners, as in social graces. Great mentoring is laced with the level of politeness that creates rapport and the sincerity that encourages bravery. We use the phrase, “to grace someone with your presence” to imply that, like an effective mentor, special gifts are brought to a relationship as a way of honoring another. But, the most instructive use of the working word “grace” is as a label for acceptance. Many religions are grounded in the power of “underserved love.” Grace-full mentors invite the protégé experimentation needed for learning. Grace-full mentoring is non-judgmental and supportive. It focuses, not on what a protégé is, but rather on what a protégé can become. As such, it nurtures visionary growth that stretches the protégé to reach beyond what he or she believes is possible. My greatest mentor was my dad, Ray Bell. He had been a high school teacher before I was born. He taught me the most important lesson of all: teaching (mentoring) is an ethical act! Effective mentors, trainers and change agents must be clean in their learner-dealings, not false, manipulative, or greedy. They must be honest and congruent in their communications and actions. They must not rob their learners’ opportunities for struggle or moments of glory. They must honor the learner just as they honor the process of mutual learning. Ray Bell was all about grace and it infused his mentoring relationship. When former students of his spoke of their fond memories, it was clear they were speaking of someone they loved…and, of one who loved in return. Dr. Malcolm Knowles taught me that a really good teacher, mentor or trainer must first and foremost love the learning. Ray Bell taught an even greater lesson: a great teacher, mentor or trainer must first and last love the learner! 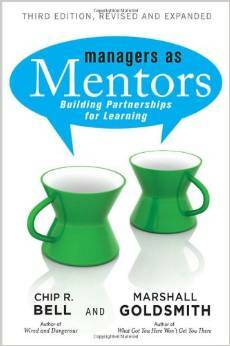 Would you like to win a copy of Managers as Mentors by Chip R. Bell and Marshall Goldsmith? Follow this link for details.